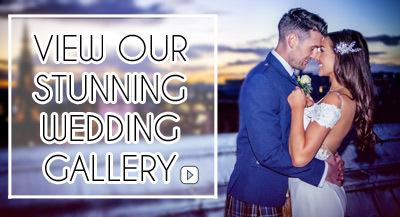 Welcome to Premier Photography, offering the very best in professional wedding photography throughout Scotland, including Glasgow, Edinburgh, Ayrshire, Lanarkshire and more. We are award winning wedding photographers based in a stunning design studio in Scotland in Hamilton just 20 mintues from Glasgow City Centre. Congratulations on your forthcoming marriage and thank you for considering Premier Photography for such a major role in your wedding preparations. For over 20 years, our wedding photography experience, creativity and professionalism, has delighted thousands of brides from all over Scotland. From the moment you book, we guarantee a level of service that is unrivalled throughout the wedding photography industry. We bring a wealth of experience and a host of knowledge to your wedding. On the day itself our attitude and approach to our wedding photography makes you feel and look like the most important person in the world. With a warm, friendly and courteous manner, we work effortlessly ensuring we give your wedding our full commitment. We are proud of our success and are winners of an array of prestigious photography awards. Having gained much acclaim by being the most nominated wedding photographers in Scotland in the Vows Awards. Voted by our Bride and Grooms for the Level of Service, Value for Money and Standard of Product. Based in Hamilton, Lanarkshire, near Glasgow, our award winning studio showcases our wide selection of wedding albums including Classic, Storybook and Contemporary. We can offer competitive quotes for all weddings and great incentives and discounts. View some real life weddings we have worked on or view some of the beautiful wedding venues we have photographed at all over Scotland. We have some fantastic wedding photography special offers available right now too. Premier Photography offer the best in creative beautiful wedding photography for Glasgow. Based in a stunning design studio in Scotland in Hamilton just 20 mintues from Glasgow City Centre we cover all areas of Scotland, including Glasgow, Edinburgh, Ayrshire & Aberdeen. We have photographed countless beautiful weddings right across Glasgow and it's surrounding areas. We have photographed at most of the popular wedding venues and locations across Glasgow, Ayrshire and Edinburgh and most of Scotland. Includining Glasgow University, Carnbooth Hotel, 29 Glasgow, Lochside Hotel & many many more. Have a look at our venues to see some stunning Glasgow wedding photography examples. We offer modern, contemporary, classic, storybook and reportage Glasgow wedding photography and come highly recommended.